According to the EU’s recommendation from 2019, the pilots will not be able to fly without having completed academic studies (240 ECTS). Obtaining a degree from the Faculty of Civil Aviation enables you to work for any airline company and provides you an access to the public aviation sector and professions related to the air transportation sector which require a license, and for whose issuance a university degree is required. 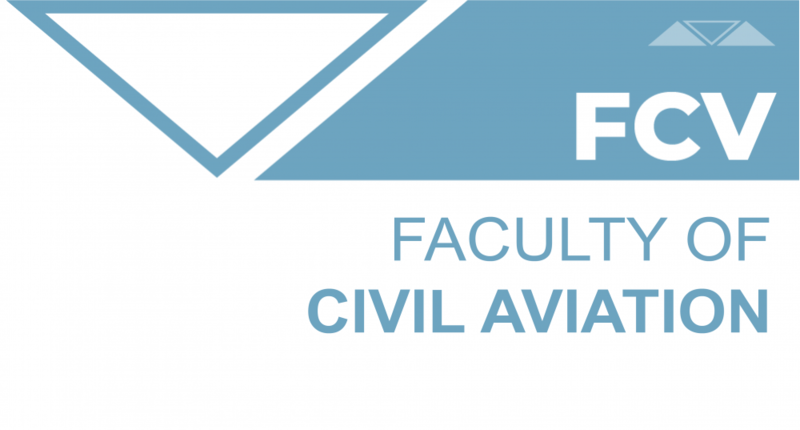 The Faculty of Civil Aviation is a unique higher education institutionof this profile in our country, whose foundation is determined by the need of the academic education of current and future graduate engineers of transport, aviation managers and aviation safety managers. Permanent training of teaching staff with the aim of mastering new working methods and encouraging their creativity. Why choose the Faculty of Civil Aviation? The goal of the study program ofAeronauticsis to educate highly-qualified personnel, qualified engineers in the field of air transportation, who are academically and professionally competent to work in commercial aviation (passengers and cargo) and in general aviation, which includes its own transport, private flying, the provision of services from the air, such as spraying, aerial photography, surveying, patrolling, search and rescue, medical transport and advertising. Also the program enables students to work in companies that are engaged in transport services of passengers or cargo terminals, administrative authorities and other state bodies, in public enterprises, the inspection services, consultancies, educational institutions, in manufacturing, as well as other organizations and institutions. The main objective of the study program of undergraduate academic studies – Aeronautics is to educate graduate transportation engineers by transferring modern theoretical and practical knowledge, competencies, abilities and skills for professional and responsible performance of activities in the field of air transportation. The goal of the study program of Aeronautics is to educate highly-qualified personnel, qualified engineers in the field of air transportation, who are academically and professionally competent to work in commercial aviation (passengers and cargo) and in general aviation, which includes its own transport, private flying, the provision of services from the air, such as spraying, aerial photography, surveying, patrolling, search and rescue, medical transport and advertising. Also the program enables students to work in companies that are engaged in transport services of passengers or cargo terminals, administrative authorities and other state bodies, in public enterprises, the inspection services, consultancies, educational institutions, in manufacturing, as well as other organizations and institutions. Upon completion of undergraduate academic studies, students acquire the title of: B.Sc. in Traffic Engineering. The study program of aviation management enables students to perform the tasks in the field of aviation management, air transportation, human resource management in aviation, implementation of laws and regulations in aviation, safety management in aviation, accounting and financial management, as well as engagement in scientific research in the field of aviation management. Upon completion of the study program, students acquire the title of: M.Sc. in Aviation Management – Master Manager. The study program of aviation safety enables students to perform the tasks in the field of aviation safety, airport and air navigation safety, aviation safety analysis, accident/incident investigation and reporting, human resources in aviation and emergency planning as well as engagement in scientific work in the field of aviation safety. Upon completion of the study program, the students acquire the title of: M.Sc. in Aviation Safety – Master Transportation Engineer.